Another explanation for the term “industrial hemp” may have originally been implemented as a method to distance hemp from its cannabis cousins that have psychoactive effects. Historically, hemp has been used for making ship sails, covers, clothing, and paper. More conventionally, industrial hemp is used in body care, construction materials, biofuels, plastic composites and more (according to one source, more than 25,000 products can be made from hemp). At Elixinol, we use it to harvest our CBD Hemp Oil. Isn’t Hemp the same as Marijuana? No. Industrial hemp is a distinct breed of Cannabis sativa, and hemp has no value as a recreational drug. Why is it used for CBD Production? Elixinol uses specially bred industrial hemp plants, which have a higher level of CBD. The direct plant extracts are still low, so to obtain a higher concentration of CBD, we use a super critical CO2 extraction method that is more expensive, but is non-toxic and ensures a highly potent and pure extract. Industrial Hemp is often erroneously confused with cannabis plants that have psychoactive effects, and many policymakers are confused that by legalizing hemp they are legalizing a recreational drug, which is not true. Is Hemp Grown in My State? Only if you live in Colorado, Kentucky or Oregon. The 2014 US Farm Bill allows these three states to grow industrial hemp for purposes of research and development. In January of 2015, The Industrial Hemp Farming Act (H.R. 525 and S. 134) was introduced in the House and Senate. If passed, it would remove all federal restrictions on the cultivation of industrial hemp, and remove its classification as a Schedule I controlled substance. We encourage you to do your research and pick the CBD oil that best fits your budget and needs. For further information on the industrial hemp we use for our CBD Hemp oil, and the products we produce from those plants, read more. Leafly: Hemp 101: What Is Hemp, What’s It Used for, and Why Is It Illegal? What is Industrial hemp? 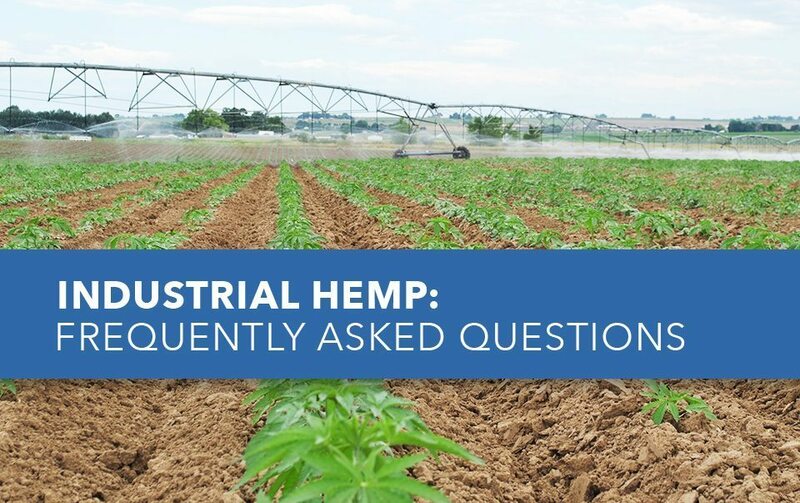 Read our FAQ's on industrial hemp to find out what it is and how it differs from other cannabis variants.